A warm and comfortable environment for your pet to sleep and rest is very important. 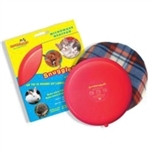 Especially for pets with arthritic conditions. Bedding material should be capable of retaining heat,dissipating moisture and be easily washable. The bedding here is available in several useful sizes. Please contact us if you have special requirements. 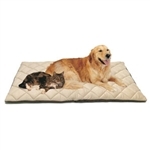 Luxury thermal and washable bedding for pets. Recommended by all vets.